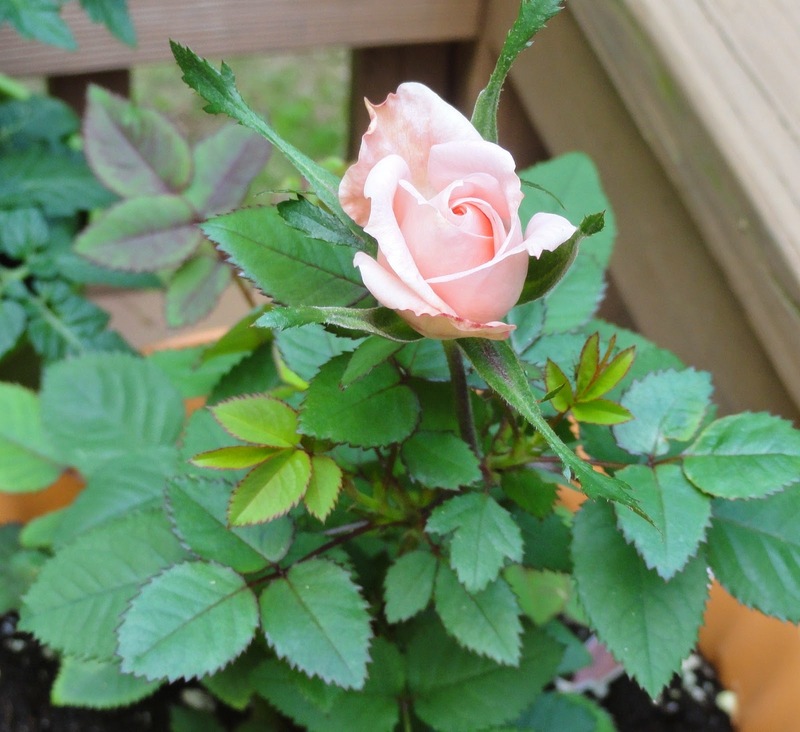 Janie's Pocono Mountain Garden: Mini Roses On Clearance! I Must Rescue At Least One! Mini Roses On Clearance! I Must Rescue At Least One! Yep, I had to buy them. I couldn't pass up such a bargain. Valentine's Day clearance. Six red mini roses in a cute container all for $1.97 plus tax! I guess I've had them for about two weeks now. They still look pretty good. But ... I have noticed some leaves starting to dry out. And fall off. From past experience, this is perfectly normal. Time to replant them in their own pots. Why, you might ask? Well, pictured above are two 4 inch pots. In each pot are 3 little plants. Each plant is capable of becoming 12-15 inches tall and equally as wide. All roses need room to grow. Even the minis! Let me take you back with me to Valentine's Day 2012. My wonderful husband had bought me a lovely little pot filled with 6 pink mini roses as a gift for Valentine's Day. Less than a week later the plants began losing their leaves. A few of them quickly died. By February 25th I had only 4 plants remaining. After trimming off dead leaves and pruning the plants back, I transplanted them into this 9 inch pot. I gave them as much indoor light as I could by placing them in front of my sliding glass door. Only one survived. It was March 18th now and I began moving the one little remaining plant outside onto the deck on warm days to bask in the sun. The nights are cold in the Poconos in March, so I would bring my little rose back inside before the night time temperature would begin to dip. May 5th. Although only one single bud adorned my feisty little plant, I didn't care. 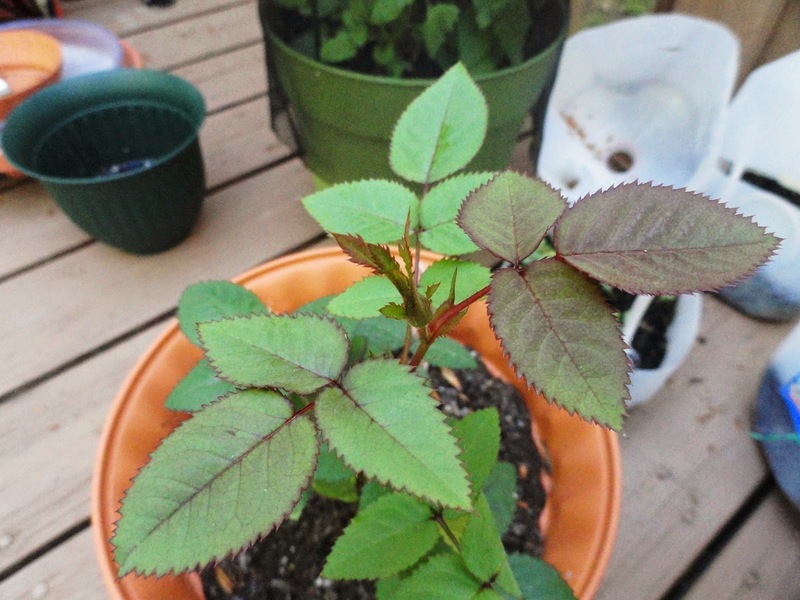 My little mini rose bush was thriving. I was so proud. 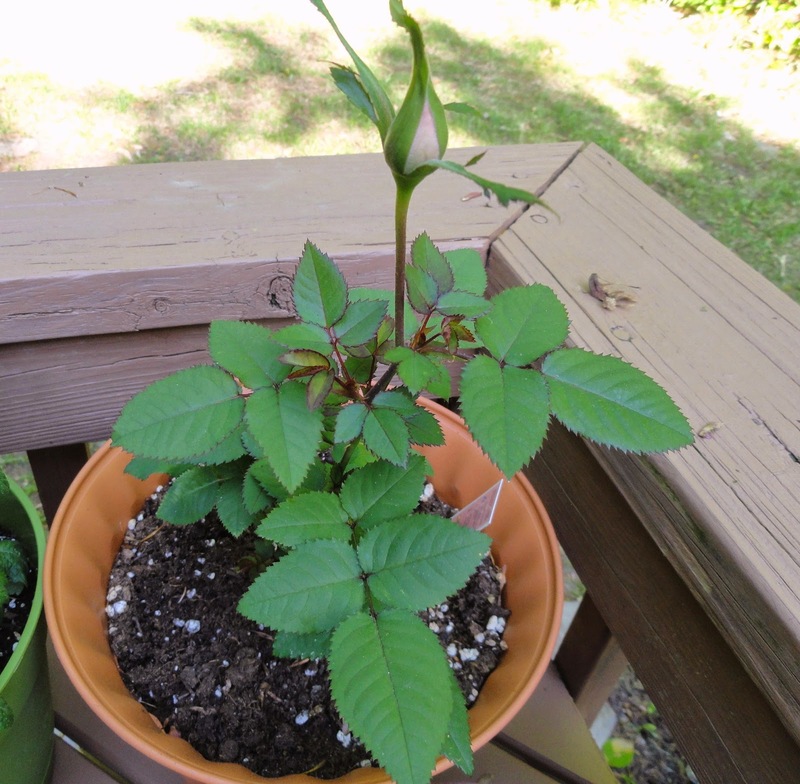 By May 20th, the one little bud had swelled and began to show its pretty pink color. May 29th. A blooming rose! Later that summer more flower buds had formed and I had lots of flowers! 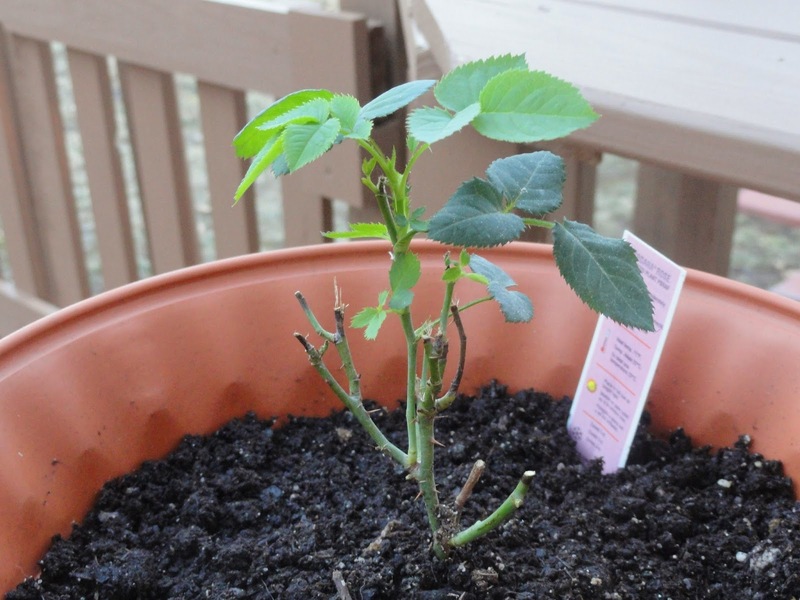 I am also happy to say that this mini rose bush is now going into its 3rd season. I over winter it in my garage and it's bloomed beautifully for me the past two years. I am definitely looking forward to this coming spring and summer! When a flower blooms ... an Angel smiles. 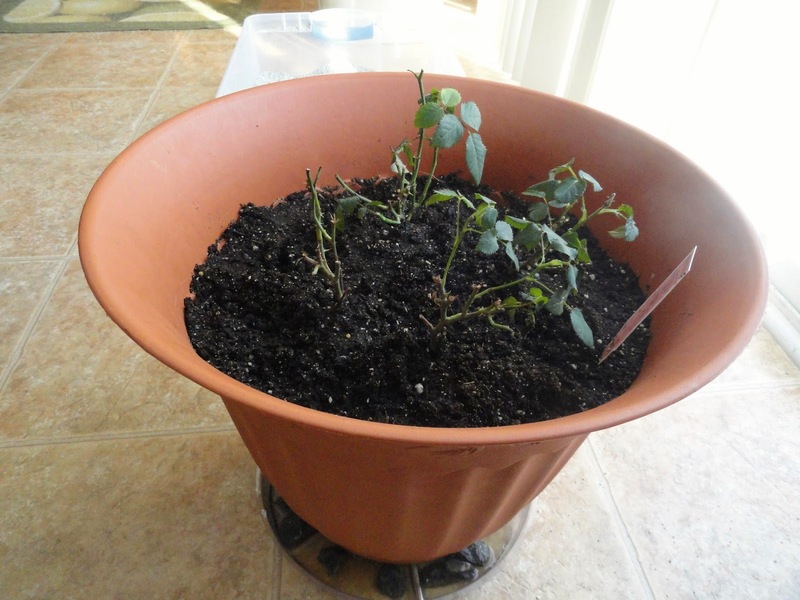 A lot of miniature roses are perfectly hardy in the ground to Zone 4 or 5. The only trouble is, when they sell them as impulse purchase gift plants, they never say on the label if they are hardy or not. You just have to plant them out and cross your fingers. We have some that were originally planted as gifts and have survived three winters in the ground. After having them in the house, we gradually harden them off and plant in the ground in spring, so they have a whole season to get established.